Portal 2 is a great game to play with your gamer. I called it a great starter game. It is slower paced that other FPS games, which gives you the opportunity to learn the controls in a lower stress environment. It is also co-op so you can play with your gamer instead of against her. As it turns out, it also is a great game to improve your brain. 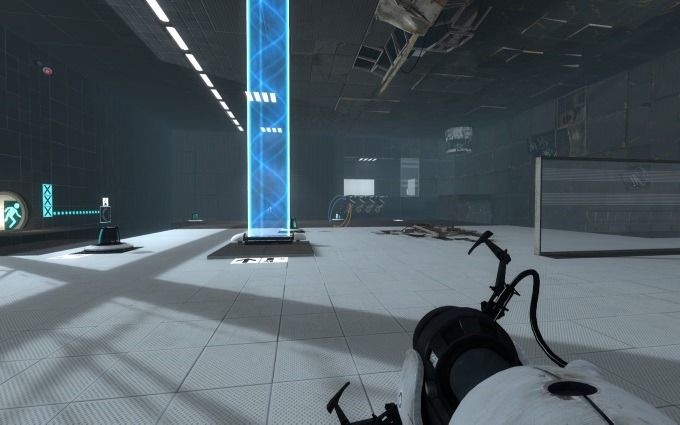 A recent study by Florida State University pitted Portal 2 against Lumosity, “a simple online tool to allow anyone to exercise core cognitive abilities.” The study tested participates on problem solving, spatial skills, and persistence both before and after playing 8 hours of either Portal 2 or Lumosity. Results revealed that participants who were assigned to play Portal 2 showed a statistically significant advantage over Lumosity on each of the three composite measures�problem solving, spatial skill, and persistence. Portal 2 players also showed significant increases from pretest to posttest on specific small- and large-scale spatial tests while those in the Lumosity condition did not show any pretest to posttest differences on any measure. This study, and others like it, show why I believe video games are the best form of media. Their active nature can do so much more than just entertain. They can make people better.